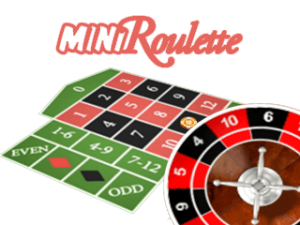 Mini Roulette is a brilliant variation of the classic roulette game. It’s like taking roulette and shrinking it down to an even simpler version that is twice faster, more fun, and much easier to play. Like somebody took roulette and made a children’s version of the game. Besides that, Mini Roulette is recognized as a variation with much favorable odds for players. This game is based on European roulette, only that it provides bigger chances of winning due to the smaller size and fewer bets than normal. Most of the Mini Roulette games that you will come across from different software providers are usually designed in 3D, so you will have the chance to play a game with smooth and clear animations. When you set your eyes on this game for the first time, you will notice that the table layout and the roulette wheel are much smaller. The game features only 12 numbers, plus the zero. You have the standard odd or even and black or red bet, and there are bets for specific groups of numbers. As in regular roulette game, placing bets is performed by stacking your chips on the appropriate sections on the table. After you have placed your chips you just have to press the spin button and the round will begin. If you want to make the same bet as previously, you just have to press the rebet button. Although Mini Roulette is recognized as more favorable roulette variation, it actually has a higher house edge than European Roulette, but much smaller than American Roulette. The house edge in Mini Roulette on most bets is 3.85%, which is worse compared to 2.7% in European Roulette, but better than 5.3% in American. This house edge is consistent throughout most of the bets, but not for bets that involve the zero. These bets have a house edge of 7.69%, so it is probably best if you avoid playing the zero in any kind of combination. Mini Roulette, as some European Roulette variations, features the La Partage rule, which applies to the zero number and which significantly reduces the house edge. If you have placed an even money bet, and the ball falls on the zero, half of your bet is returned to you. Single Number: pays 11 to 1. Split: betting on two neighboring numbers. Pays 5 to 1. Street: betting on a row or three numbers. Pays 3 to 1. Corner: betting on four numbers by placing the chip in the corner where they intersect. Pays 2 to 1. Half Dozen: betting on a range of six numbers: 1-6, 4-9 and 7-12. Pays 1 to 1. Odd/Even: betting that the number will be odd or even. Pays 1 to 1. Red/Black: betting if the number will be red or black. Pays 1 to 1. Because it can be a very interesting alternative to its bigger and standard version. 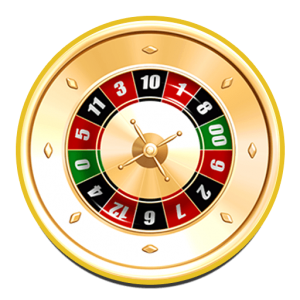 The standard roulette game has a much larger number of possibilities, which can be somewhat overwhelming for occasional players. 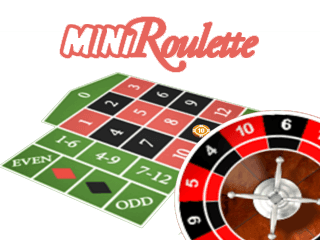 In Mini Roulette, the odds are much better, the possibilities are much fewer, and you have a higher likelihood to hit a long shot bet than in the European or American versions.